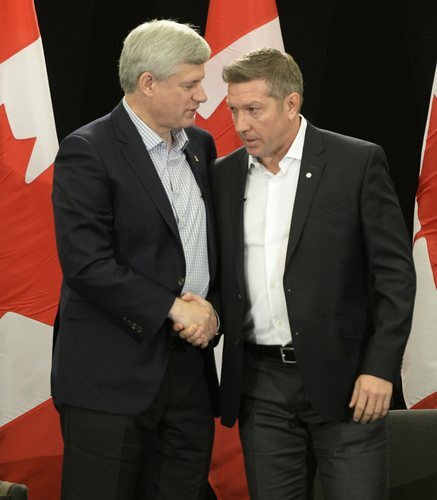 Stephen Harper was asked why he won't let Wayne Gretzky vote. 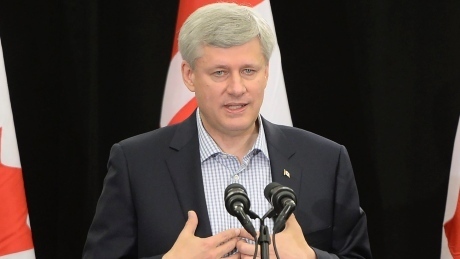 Conservative Leader Stephen Harper elaborated on what he meant when he alluded to 'old-stock Canadians' during last night's leaders' debate, saying it refers to "Canadians who have been the descendants of immigrants for one or more generations." 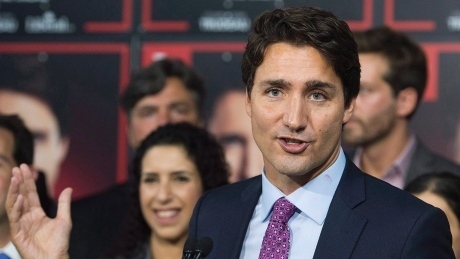 According to an NDP-commissioned poll, Justin Trudeau is trailing in his riding of Papineau. But Éric Grenier explains why there are reasons to question the results. 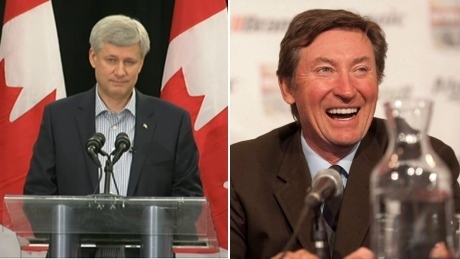 Despite being denied the ability to vote, former hockey great Wayne Gretzky is expected to endorse Stephen Harper later today at an event at the Carlu in Toronto. 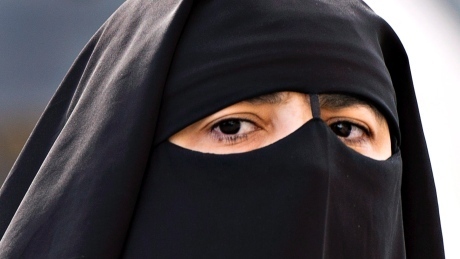 The Conservatives are seeking to throw up another roadblock to a Muslim woman's quest to be able to vote in October. 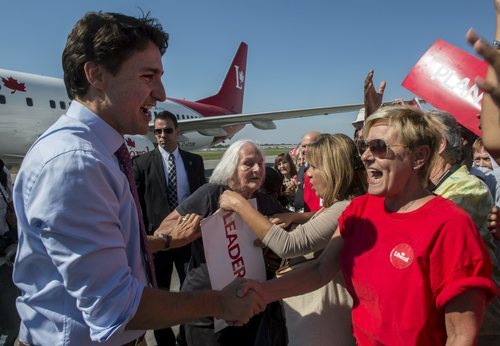 Liberal leader campaigns in Toronto before a rally in Ottawa tonight. 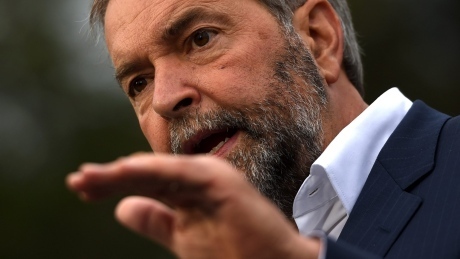 NDP Leader Tom Mulcair today announced a plan to spend $454 million over the next four years to improve health care and benefits for veterans if the New Democrats form government after the Oct. 19 vote. Do we want to try to educate citizens and then get them to turn out, or do we want them to turn out and then try to educate them, or do we want to try to do both at the same time? 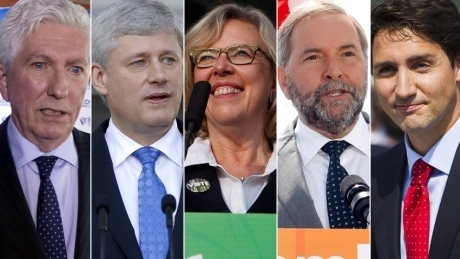 The leaders of the main federal parties are spread out across the country today, with campaign events scheduled in Ontario and the Maritimes. 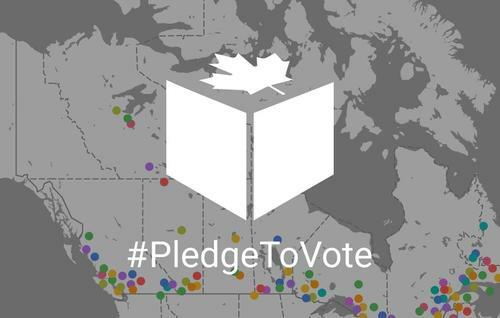 CBC News has collaborated with Google to create a tool that lets Canadians publicly pledge to vote in the Oct. 19 federal election, and challenge their friends and family to head to the polls as well. 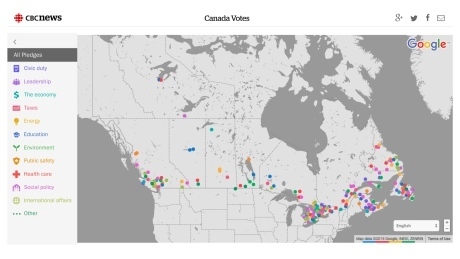 Elections Canada has quietly warned staff to be on the lookout for increasingly sophisticated tactics aimed at discouraging -- or even stopping -- voters from casting a ballot. 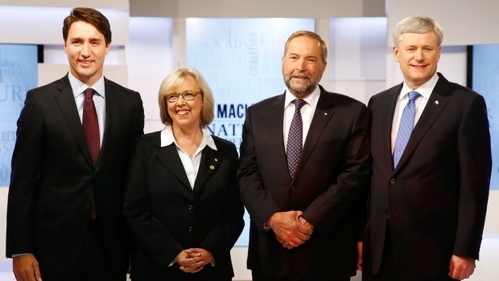 the Oct. 19 federal election. 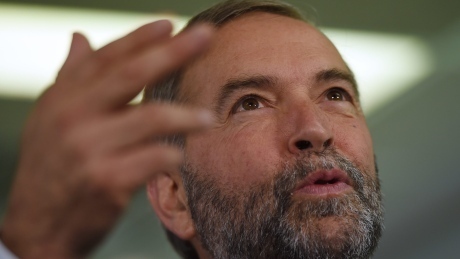 election," said Elections Canada spokesman John Enright. As Canadians are coming in from the rain here in the Lower Mainland and from runs all across the country they're going to come home and realize that the money they've donated to the Terry Fox Foundation through the Terry Fox Run today is going to be matched by the federal government. The Conservatives insist a multimillion-dollar campaign pledge to match donations raised by the Terry Fox Foundation doesn't cross the line by leveraging the popularity of one of Canada's most revered heroes. Some play political games, but most, the vast, vast majority, of the chiefs and councils that I've met with, we've made progress. 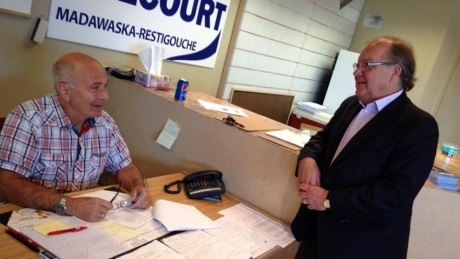 For many First Nations activists and organizations, Bernard Valcourt has become the bête noire of Stephen Harper’s Conservative government. 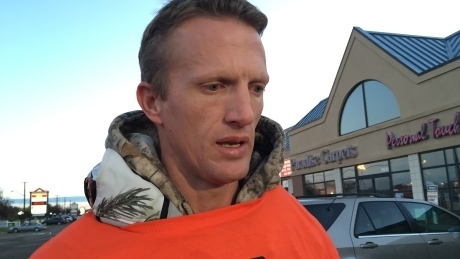 Postal workers held a protest this morning outside the Whitemud depot in the city’s south end. Worth watching: The race is on to elect a new MP in the riding of Peterborough-Kawartha, most recently held by disgraced former Conservative Dean Del Mastro. The district has been redrawn and replaces the old Peterborough riding. It will get a new MP for the first time in nearly a decade because Del Mastro, a former parliamentary secretary to Prime Minister Stephen Harper, stepped down after he was convicted in October 2014 of election spending violations in the 2008 campaign. In June, Del Mastro was sentenced to a month in jail. News cameras captured a rare sight after his sentencing: a former MP in shackles. Cameras rolled as Del Mastro, wearing handcuffs and leg irons, was marched by guards to a waiting van. Population: 115,269 including the communities of Peterborough, Lakefield, Ennismore, Havelock and Buckhorn. Incumbent: Del Mastro, who won three times in Peterborough, is not running. Main challengers: The Tories have chosen local businessman Michael Skinner to try and hold the seat. Skinner owns event spaces, a restaurant and a property management firm, according to his campaign website. 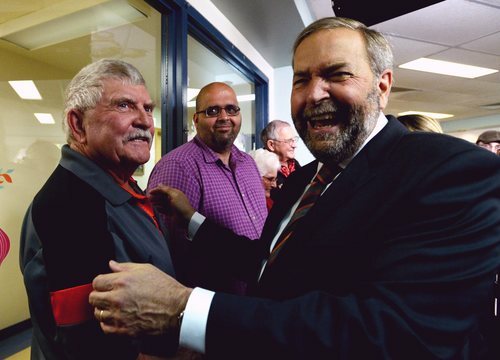 NDP candidate Dave Nickle is described on his website as a retired teacher and former district president of a teachers' federation. It also says Nickle, the runner-up to Del Mastro in 2011, is chair of a Peterborough community group that offers free legal advice and representation for lower-income residents. Liberal hopeful Maryam Monsef's profile says she is a former Peterborough mayoral candidate who represented the city at a United Nations commission on the status of women. Election history: This bellwether riding has often elected MPs from the parties that win power, swinging back and forth between the Conservatives and Liberals for decades. Del Mastro first won the seat, previously held by the Liberals, in January 2006 and held it until he resigned in November 2014. 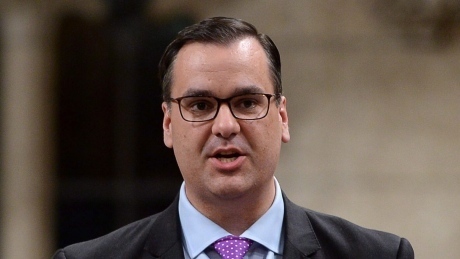 He left the Tory caucus in September 2013 after being charged under the Canada Elections Act and sat as an Independent until his resignation. Fun Fact: Walter Pitman won the riding in the 1960 byelection under the banner of the New Party, which later became the New Democratic Party. Pitman, a founder of the NDP, held the riding for nearly two years before losing the 1962 election to Progressive Conservative Fred Stenson. 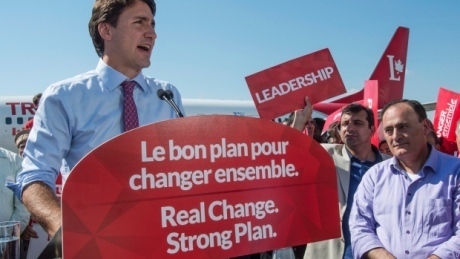 Stephen Harper says the Liberals are "living in a dream world" on F-35s. "I don't know what planet they're living on."